In many respects, the Keen and Argus are similar: both are battery-powered, both have 1080p live streaming, motion detection, and night vision, and both need a MicroSD card for storage. The Keen however has a standalone PIR motion detector and can pan/tilt, while the Argus is an all-in-one that is also weatherproof. On paper, the features check all the boxes you might be looking for in a cheap, cloud-less wireless cam, but the end result still left me a little disappointed. I yearned for more smarts, better detection, better scheduling, more versatility, and at least some form of cloud backup. Completely wireless Both cams can be placed anywhere you want thanks WiFi connectivity and battery power. The Argus is especially versatile thanks to its magnetic base and wall mount. Pan/tilt (Keen) Although it has a small field-of-view, the Keen can be panned 355° horizontally and 105° vertically, which is excellent if you have a wide area you'd like to monitor. 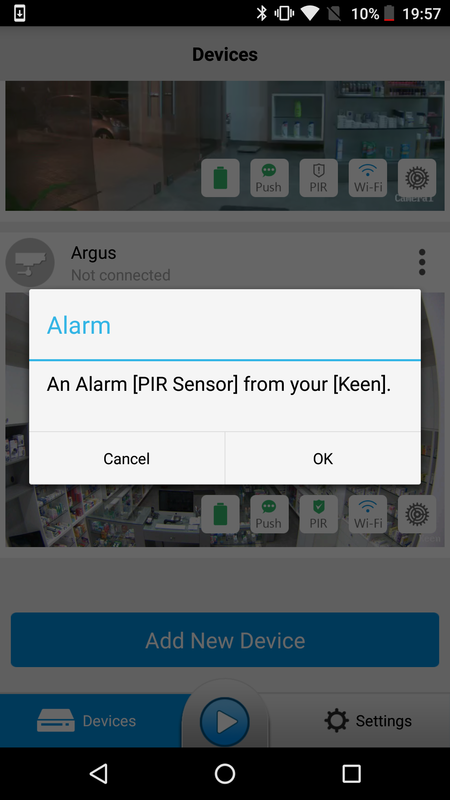 Standalone PIR (Keen) With a separate PIR unit, you can have the camera placed in the hallway and the motion detector near the door, so the cam would wake up and start recording even before an intruder is in its field of view. 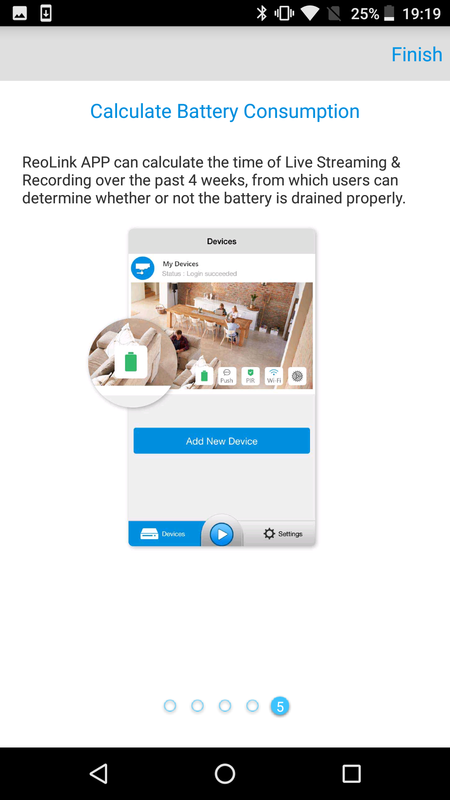 Your storage, no pricey plans Forget about monthly or yearly plans, these cams record all motion videos to a MicroSD card and can save live videos or pics to your phone's storage on demand. 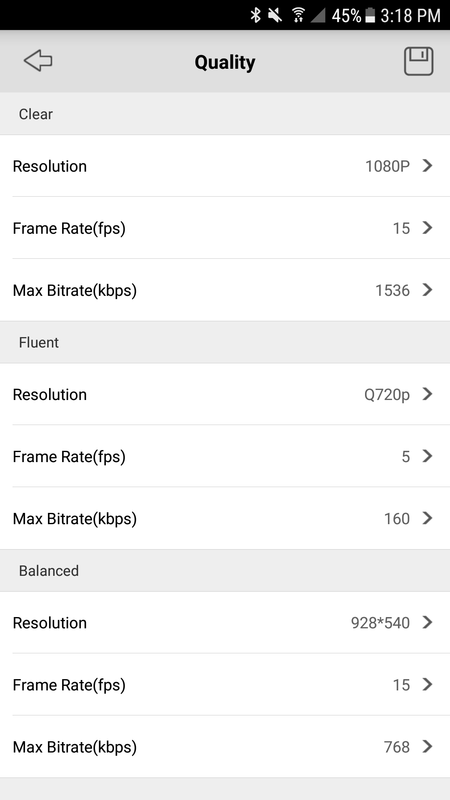 Easy livestream quality switch Oh how I wish other cams let you so easily switch between live stream resolutions and specify exactly what each quality's settings are (resolution, frame rate, max bitrate). No accounts OK, technically you have to know your camera's code, user, and password, but there's no account in the traditional sense. 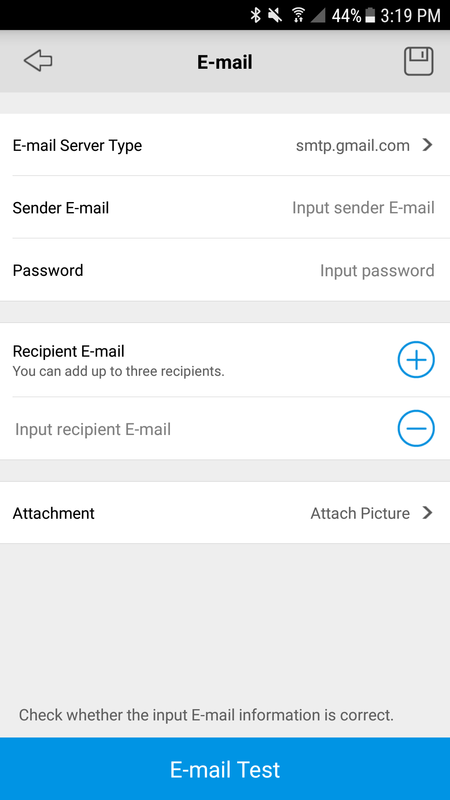 No email address is needed and there's no account with your saved videos anywhere. Free two-way audio Other cams either don't have it or sometimes charge for it. Weatherproof (Argus) At $99.99, it's nice to see that the Argus is IP65 rated. That should let it handle rain and dust quite well. The lowest operating temperature is 10°C though, so you won't be able to use it outdoor in very cold and snowy weathers. Reolink app Although it has improved a lot since I started testing it, the Reolink app looks like an iOS app transplanted on Android. It's clunky and the learning curve is steep. 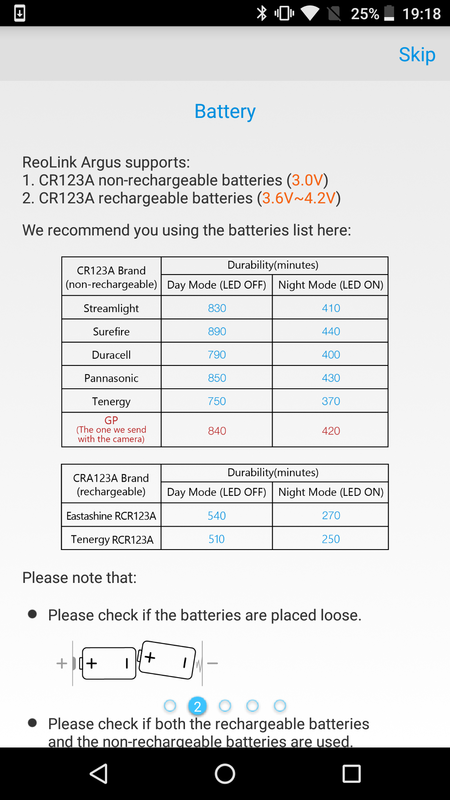 Battery choice Depending on where you live, CR123A batteries may not be easy to come by, and rechargeable CR123A batteries could be impossible to find. 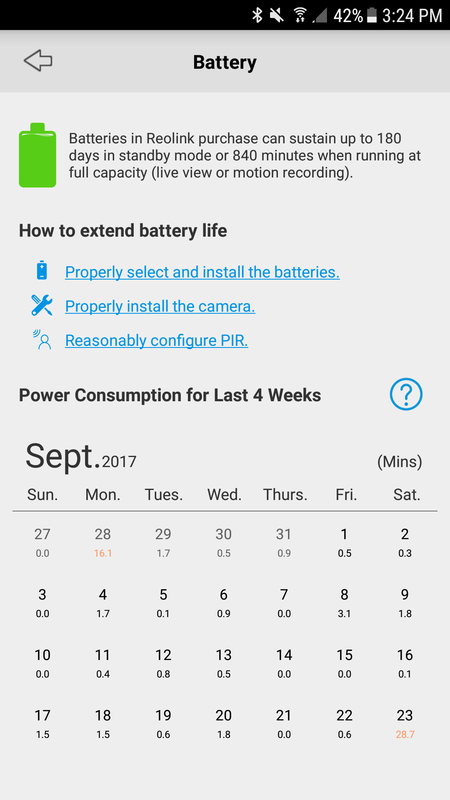 No backup power option MicroUSB or USB-C power on either of these cams would have been useful when placing them near a power socket. 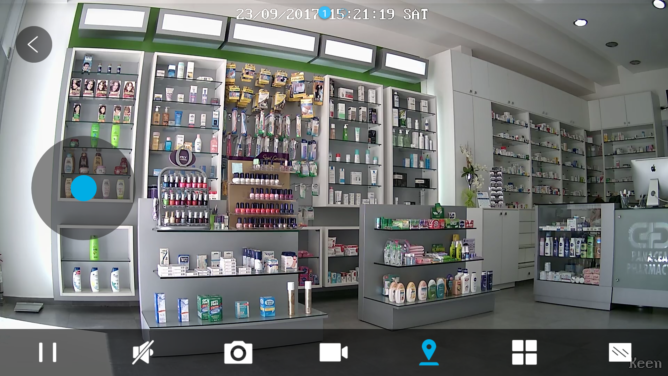 No backup cloud storage Local storage is great, but what happens if a thief takes your cam or disconnects your internet? You have no way of accessing what's been recorded on the SD card. No default pan/tilt position (Keen) The Keen should offer to return to a preset pan/tilt position after a while, instead of being stuck looking at the roof if I forgot to reset it after checking something. No continuous scanning (Keen) You can't program the Keen to scan the room every few hours or follow intruders around, but then again the PIR isn't integrated so that's either impossible or useless in this case. No 90° stream rotation (Argus) You can flip the stream vertically or horizontally, but you can't rotate it 90°. The main position (horizontal) I wanted to put the Argus in is completely skewed when viewed on my phone. No smart home/away mode I have the Reolink app on my phone, why not use that to automatically arm/disarm the PIR motion sensor? 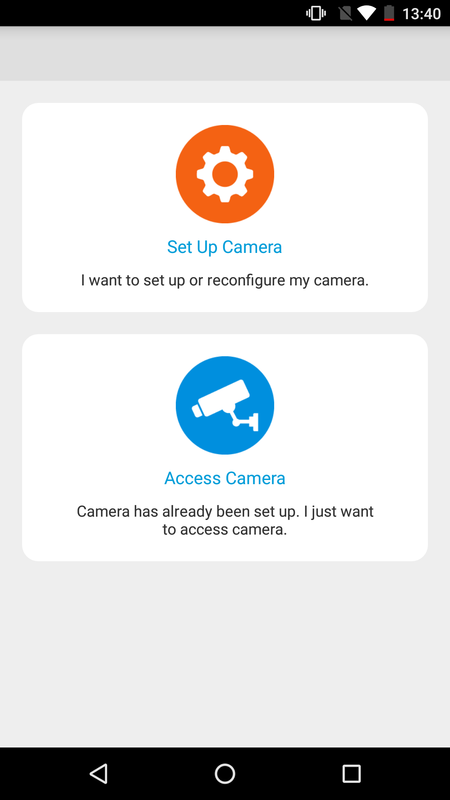 Instead, I have to set hard schedules to turn on the cams' motion notifications and recording. No smart detection There's no differentiation between pets, humans, insects, wind, light changes. 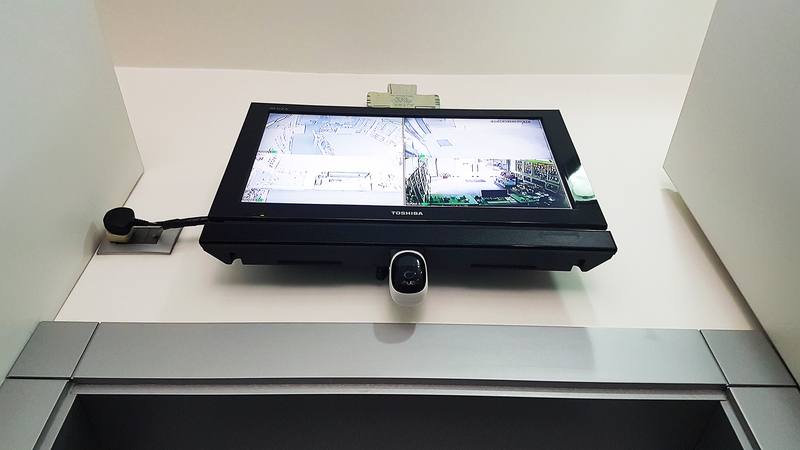 There's also no frame exclusion/inclusion to let the cam notify only if motion is detected within a specific part of the frame or to ignore motion in other parts. 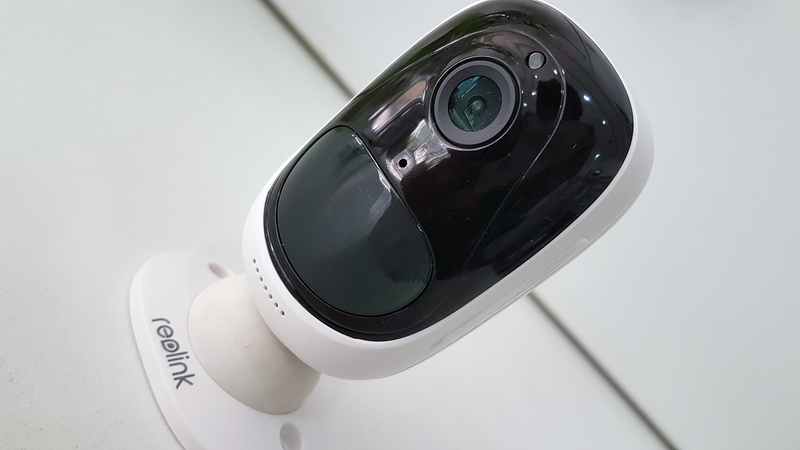 No ONVIF Even though all of Reolink's powered cams have third-party software support through ONVIF, the Keen and Argus are the only two that don't. That means no web browser support, no TinyCam, and no escaping Reolink's app. No smart home integration These two cams live in an ecosystem of their own. You can't integrate them with Wink, SmartThings, Google Home, Alexa, cast their feed to your TV, and so on. The Reolink Keen has a familiar security camera look that we've all seen everywhere: black with a large base and a rotating camera on top. 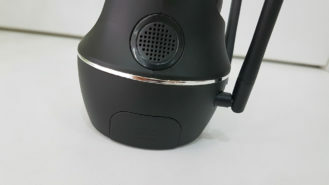 The other significant design features are the two antennas on the back. If you look closely, you will see the light sensor and microphone holes on the front and the speaker grills on either side. The base has the battery component, which takes 4 CR123A batteries (regular or rechargeable), and a MicroSD slot on the back next to a Reset pinhole. 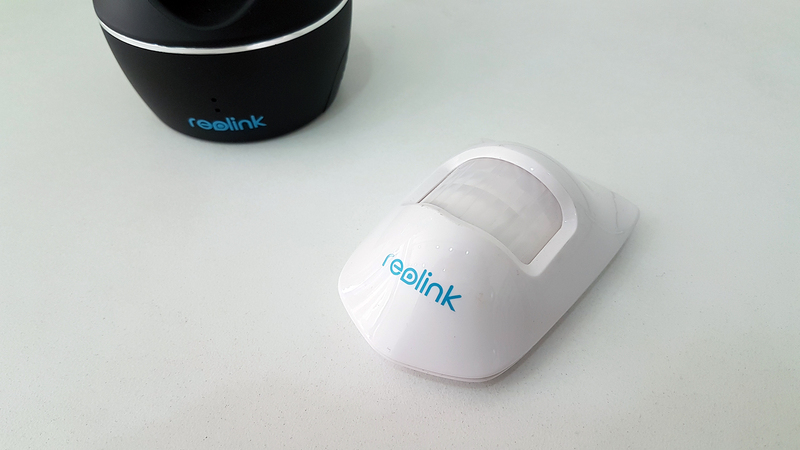 Below them, you'll find the cam's QR code, which you'll use to add it to your Reolink app. 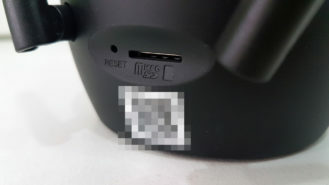 The bottom has four small rubber feet, a tripod mount, and some info like the serial number, default user, and password. The Keen comes with a standalone PIR motion detector, with a generic look. All you need to know is that it also takes a CR123A battery and has two physical switches to control its sensitivity to movements. 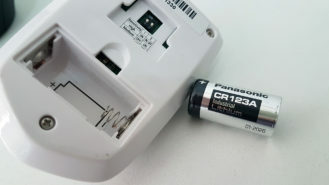 Standalone PIR motion detector (left). Its sensitivity switches and battery (right). 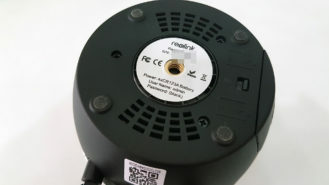 Both the Keen and the PIR come with mounting brackets. There's also 3M tape if you'd rather not drill holes to install the PIR. The Keen's bracket only rotates up and down, but you can control the tripod's pin length and thus technically change a little the default angle it faces when installed. But since the cam has pan/tilt, you shouldn't worry much about how you mount it. Mounting bracket for the Keen (top) and its PIR (bottom). Overall, there's nothing too specific about the Keen's design. The only complaints I have are with its power options. Depending on which country you're in, the CR123A might not be a common format and you'd have to really dig around and pay a decent chunk of money to get it. I learned that the hard way. If you're in the US, that won't be an issue at all, but if you live elsewhere, I'd advise you to check first in your local stores to see if the format is easy to come by. And if you have the choice, grab the rechargeable ones. 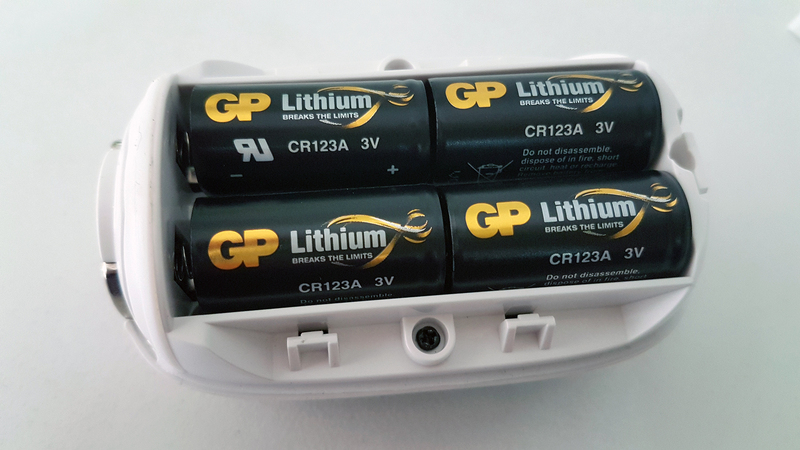 These batteries will last somewhere between 3 and 6 months according to your motion detection settings, so you'll be changing them rather often. It took research and a hefty sum to get these 4 replacement CR123A once the originals ran out. I would have loved if the Keen offered a wired MicroUSB or USB-C power input option. That way you wouldn't waste your precious battery life when you're placing it near a wall socket, or if by mistake you don't exit the Mac/PC client when viewing from the desktop. Yes, you read that right, if you don't properly exit the desktop client, the cams will livestream continuously and run out of battery. 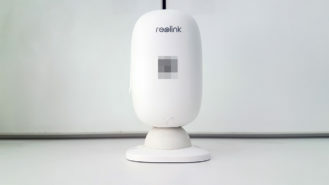 The Reolink Argus has a more modern portable design slightly reminiscent of Arlo's small cameras. The camera, notification light, microphone hole, large motion sensor, and small speaker grille are hidden in the black front. The rest of the cam has a white body, for a panda-like look. 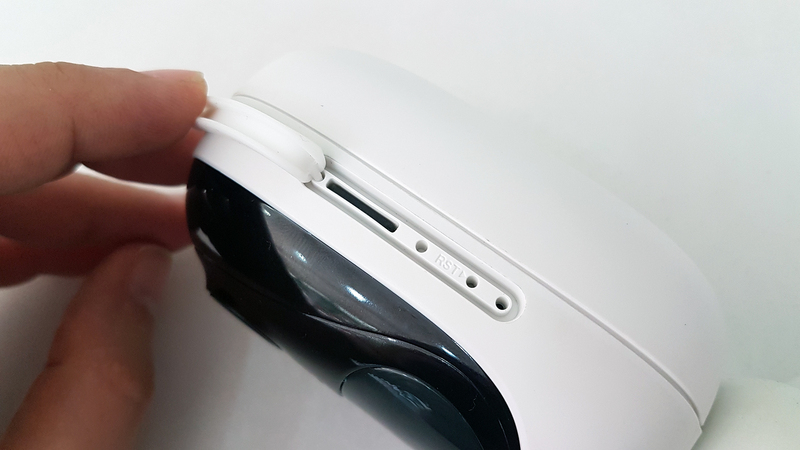 The MicroSD slot and reset pinhole are hidden under a white rubber flap on the side. And the back has the camera's QR code. 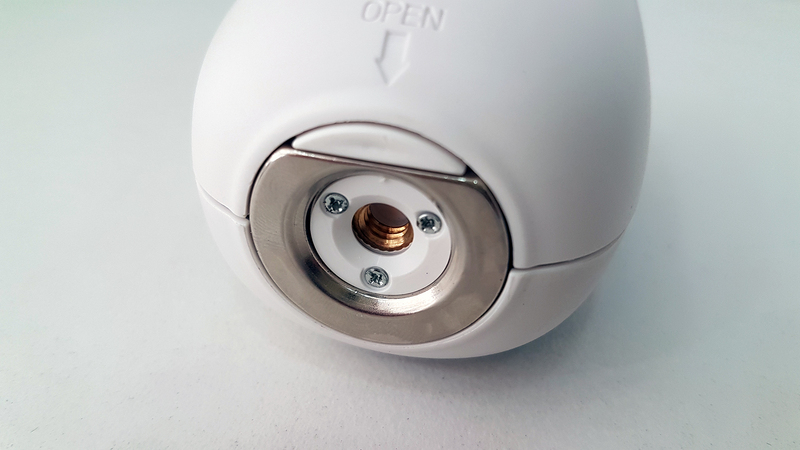 On the bottom, you'll find the magnetic base circle, tripod mount, and a latch that opens the battery compartment. I first had a lot of difficulty opening that, then I found what seemed to be a little helper plastic tool in the box. It's a lot easier to open the Argus when you use it. 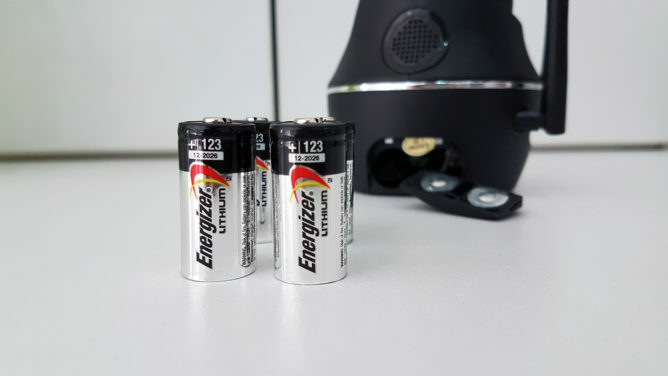 Just like the Keen, the Argus uses 4 CR123A batteries and thus I give you the same warning here: check for the availability of these in your country before you purchase the cam. Since the Argus doesn't offer pan/tilt but a wider angle lens, its positioning is crucial to how well it'll monitor the area you're targeting. The magnetic base lets you stick it immediately onto any metallic surface, but it also comes with an indoor magnetic mount where you can twist it in any direction and an outdoor mount (rather cheap) that uses the tripod to screw it in place. 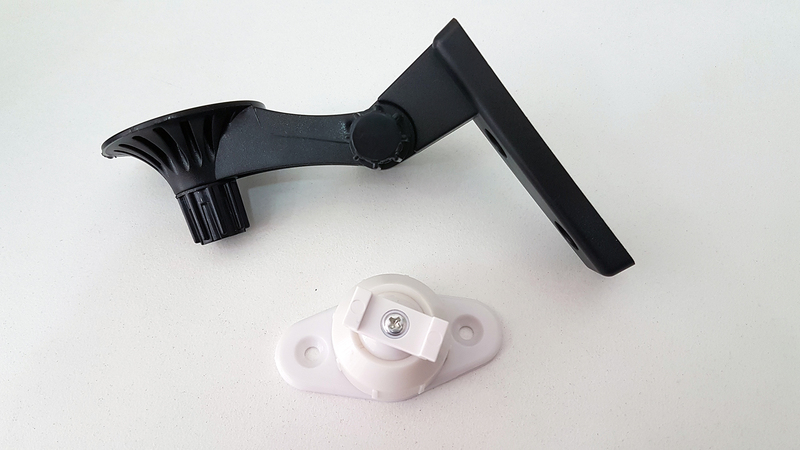 Argus, outdoor mount + indoor magnetic base, and the tool to remove the battery door. 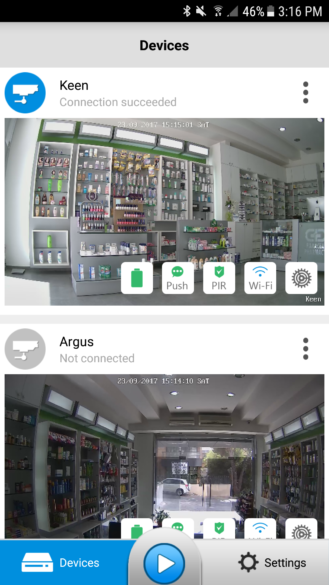 My first choice for installing the Argus when testing it inside my pharmacy was the metallic frame surrounding the glass door. The magnets on the bottom are super strong so I installed it there sideways (horizontally) and didn't worry about it falling. But I quickly noticed I couldn't rotate the image 90° in the Reolink app so it would have to be skewed the whole time. Bummer. Eventually I discovered that the TV's mounting plate is metallic so I hung the Argus upside down below it. Thankfully the app let me flip the image so it was easy to see things correctly from my phone. Since it's facing the large door, I have to deal with a lot of contrast between the sunlit outdoor and darker inside, but it's a acceptable (for me) small price to pay for something that was so easy to hang without any screws or mounts. 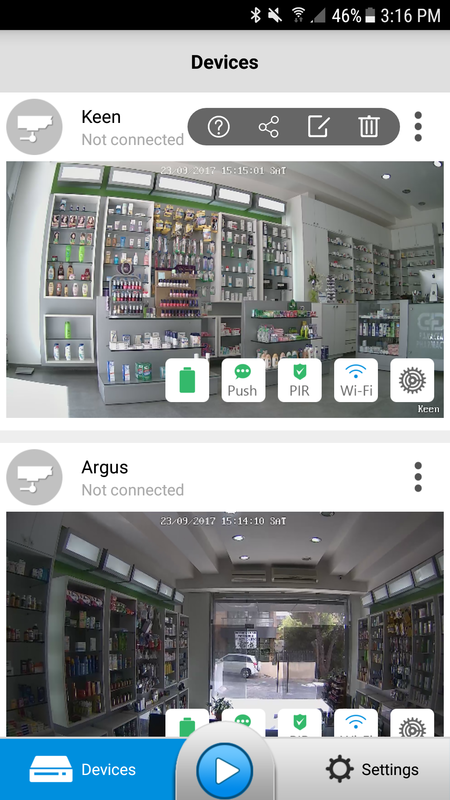 I wanted to install the Argus sideways (left) but had to eventually put it upside down (right). From now on, I'll mostly talk about the two cams as once, since they offer pretty much the same software experience. Setting them up was a few minutes affair. 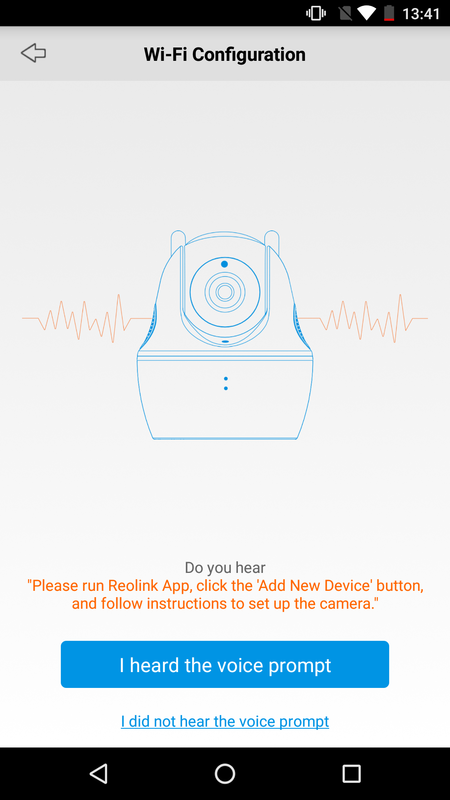 After launching the Reolink app, you're taken through the steps one by one, with easy instructions and voice prompts. 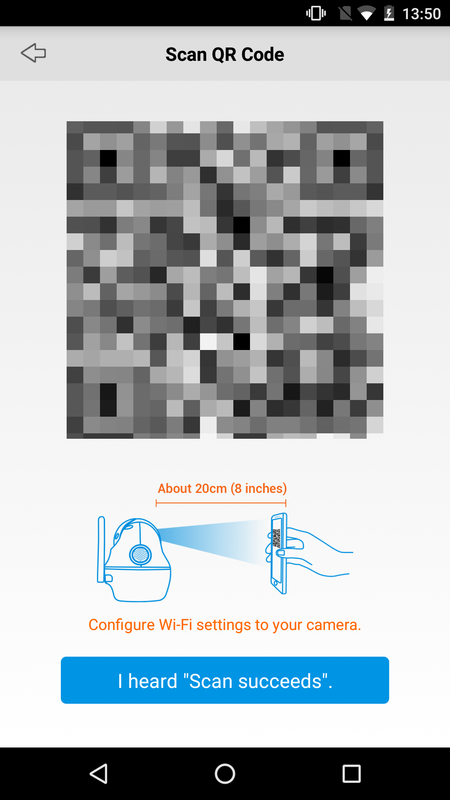 You'll have to first scan the QR code that's on the back of your cam, login with the default user/password then choose your own, enter your WiFi settings which you then scan back from the app to the cam, and you're done. If a new software is available you'll be asked to upgrade. 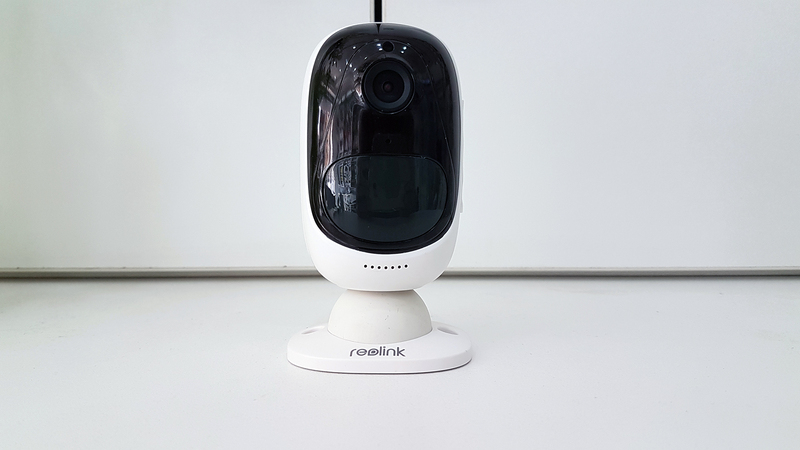 After that, Reolink has added an onboarding tutorial that explains a little how these cameras should be ideally installed and set up. 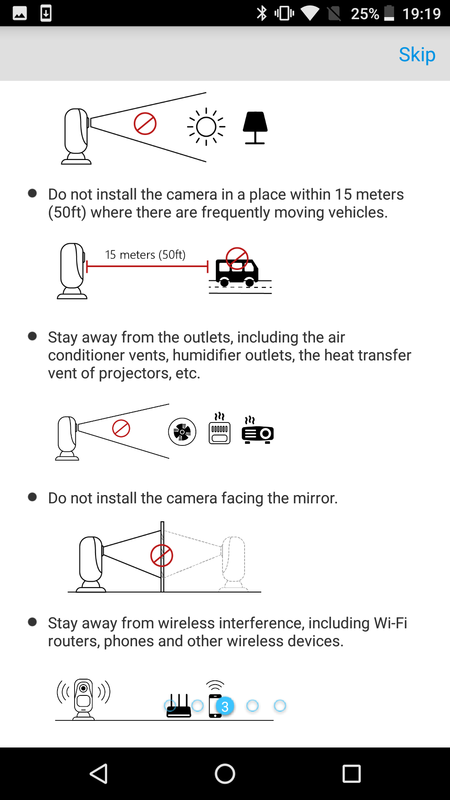 The first thing you're told is that the cams aren't designed for 24/7 live streaming so you better keep that in mind when choosing your settings. Since there's no account, if you want to add the camera to another device, you'll have to just choose Access camera instead of Set up camera, then "login" with the cam's QR or its UID number, user name, and password. If you can't easily access the cam to scan the QR code again, the app lets you share its code on screen to another device. 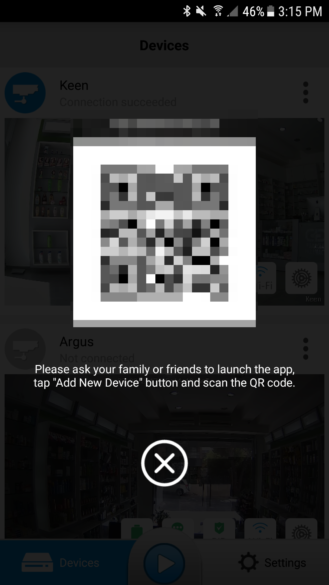 When adding an existing cam, choose "Access camera" and scan the QR from the device it's already set on. 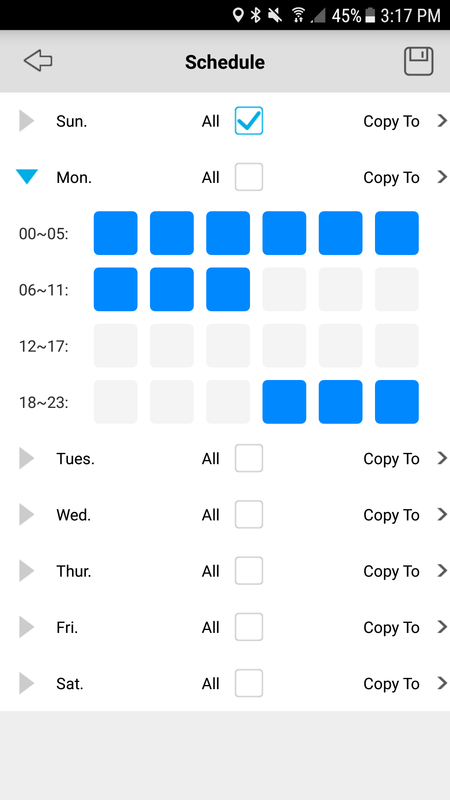 I'm not a huge fan of Reolink's app design, but the app has improved significantly since I started testing the Keen several months ago. All of the screenshots you'll see below are taken from the recent app redesign (Sept 20), but still, expect a lot of iOS-like toggles and icons. 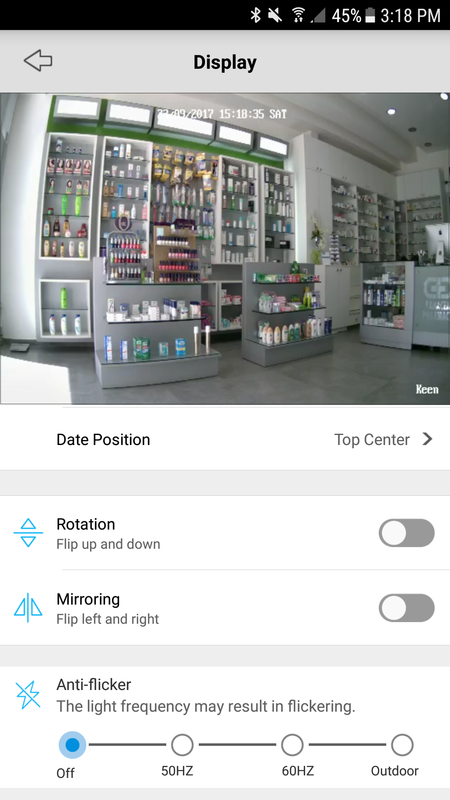 The different settings are interspersed throughout the app and it took me a long time to understand where and how to change something with the camera's setup. But first, the app has general settings where you can choose if the livestream automatically opens if you're on WiFi or data. 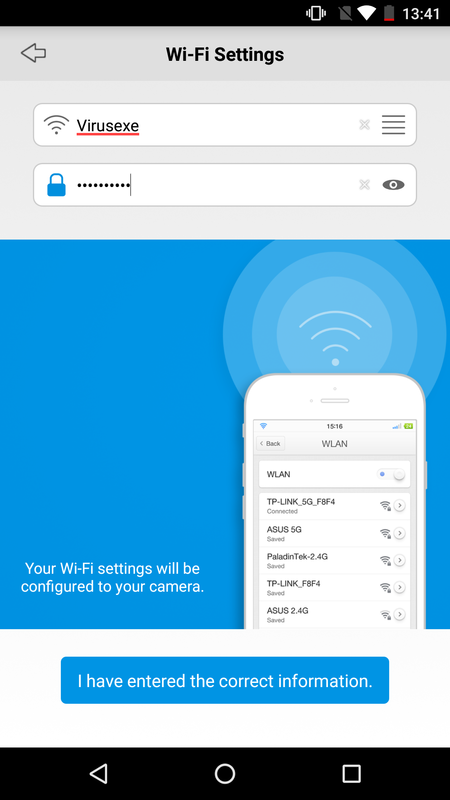 You can also password protect the app, and change the storage path on your phone for downloaded and captured images and videos. 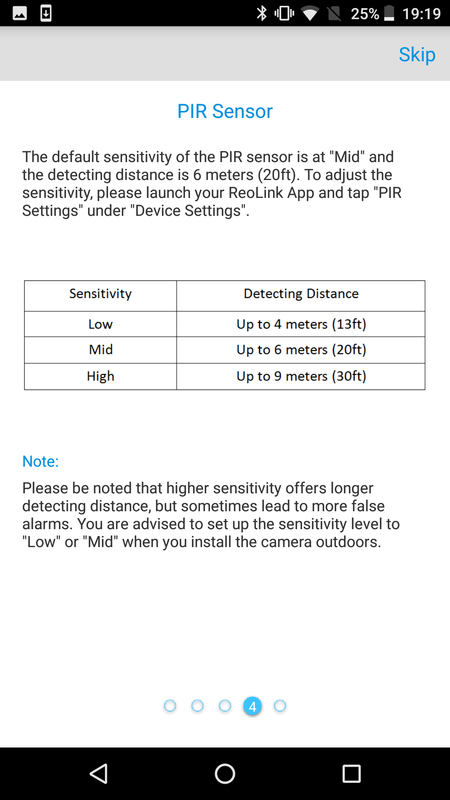 Reolink's main app settings and storage path. Then every camera has 3 sets of options interspersed. 1) The overflow menu next to the cam's name and connection status has the tutorial, share (QR code sharing to other devices), name and login editing, and delete. 2) The colored buttons over the cam's latest still are where you can check the battery consumption, enable or disable push notifications from each cam separately, change the motion detection settings, modify the WiFi network, and finally access the other list of settings (cog icon). Yes, that's confusing. 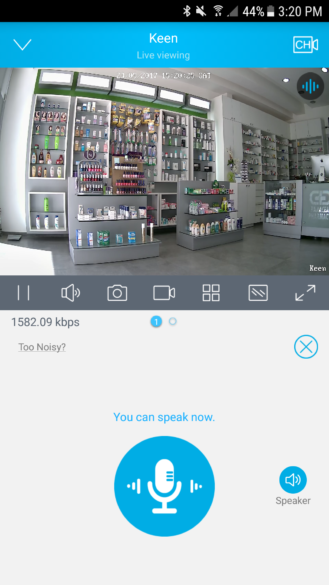 But before I get to those, let me say that the "PIR" and "Push" buttons are what you want to focus on to actually turn your camera from a glorified live streamer to a smart cam that records videos when motion is detected then notifies you. 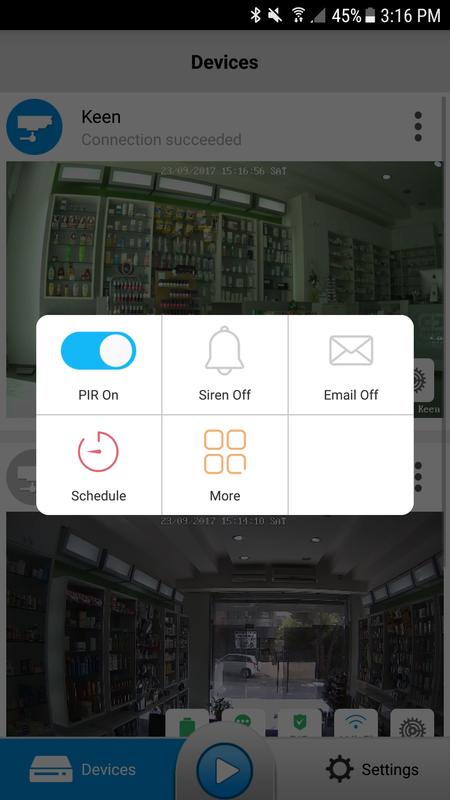 The motion detector can be set to turn the siren on/off, send an email with a snapshot image attached, and scheduled to turn on/off at different hours each day of the week. 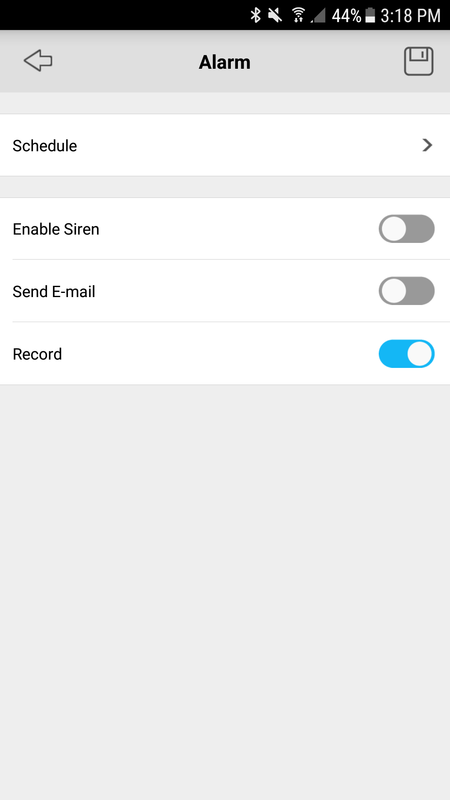 You can also control its sensitivity and enable/disable recording, though why you'd do the latter baffles me. 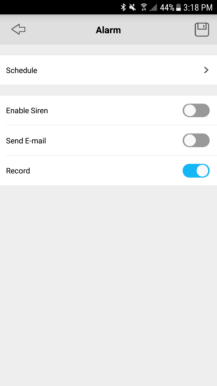 Email settings, ie choose the server that will send an email when motion is detected, as well as the recipient and the attachment type. 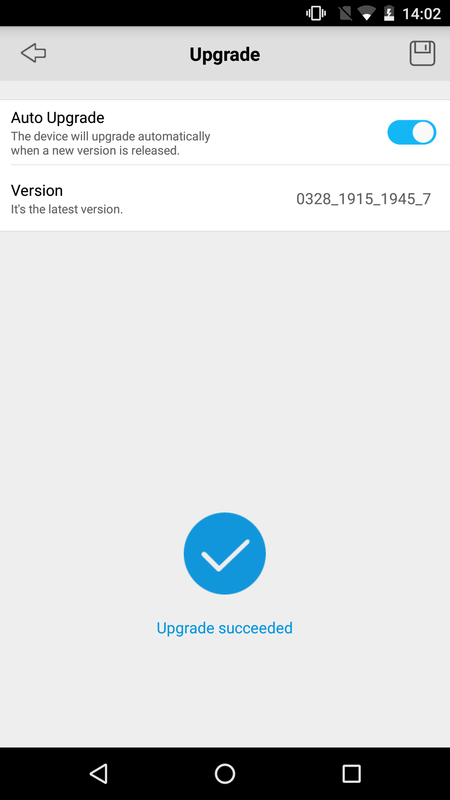 Restore to default and upgrade firmware. 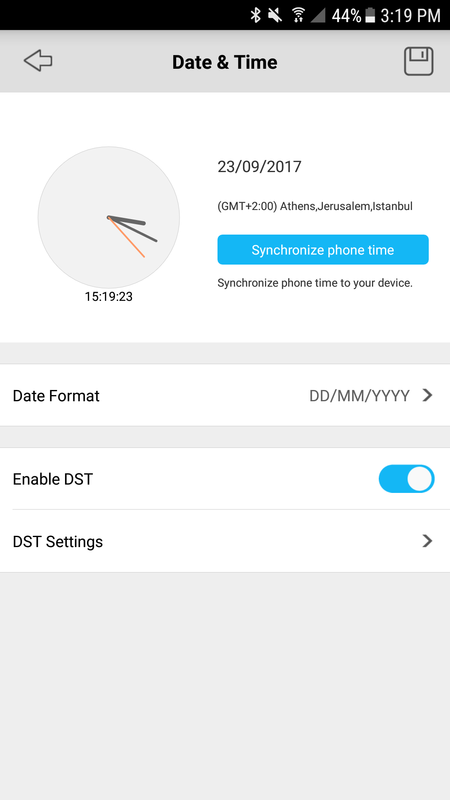 3rd set of cam settings: display, stream quality, email server, date and time, battery life. 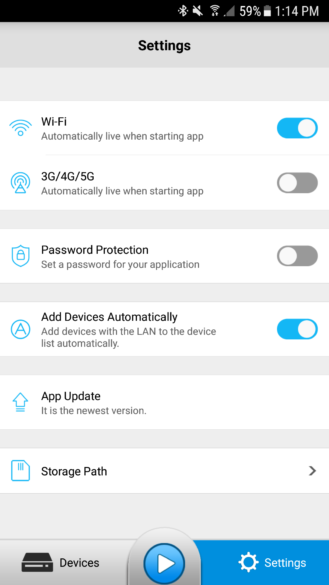 The thing that irks me about these settings, aside from the duplicates and the 4 different places they've been put in, is how settings are managed. Sometimes you change a toggle and it automatically saves, sometimes you have to tap the save button on the top right before you back out. Which reminds me, why is there a back button on the top left? 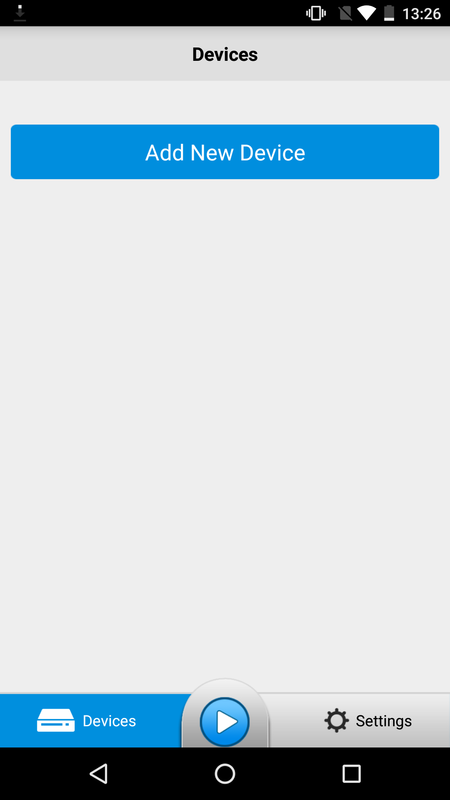 We have a dedicated back button on Android, no need to have a separate one up top. 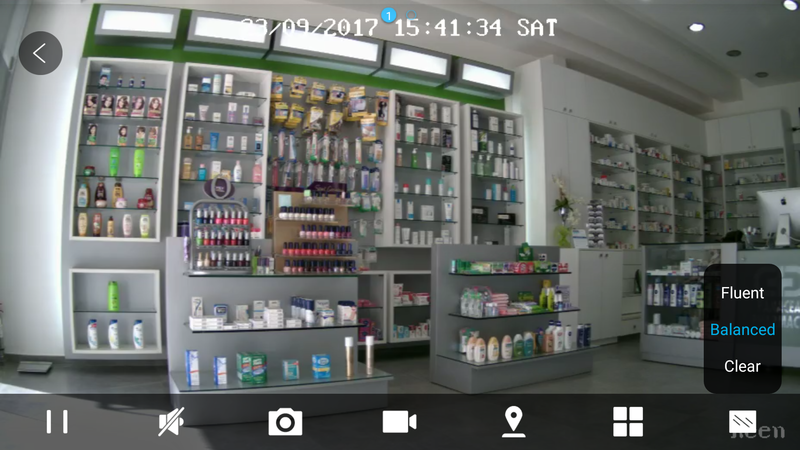 Once you've added one or several cams to the Reolink app, you can easily swipe between them in the live view feed or even switch to a 4-cam view, and zoom in/out on each. 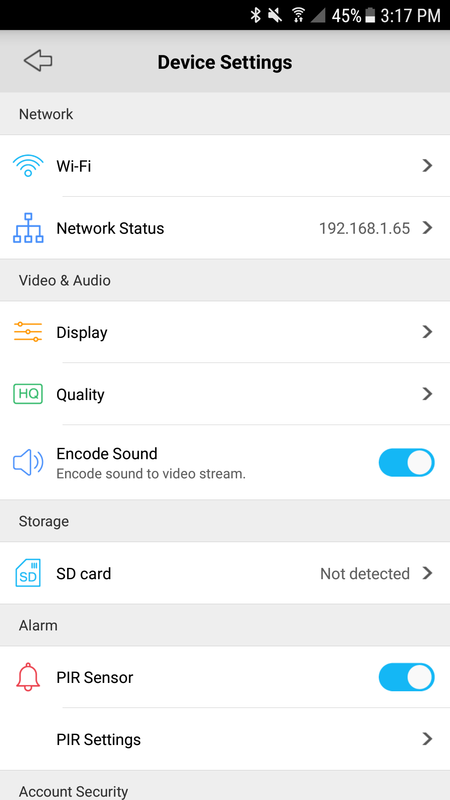 A small row of icons lets you pause/resume the livestream, enable/disable audio, capture a still image or live video (which will be automatically saved to your phone, not the SD card), switch the stream's quality from fluent to balanced to clear, and switch to landscape fullscreen. 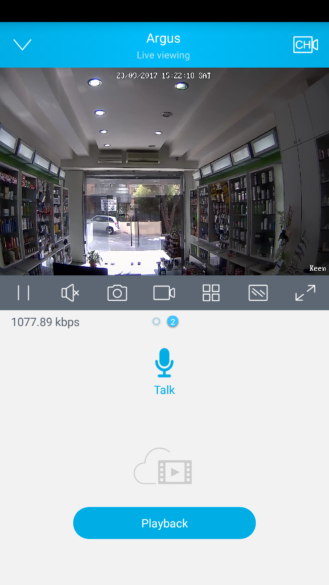 Main app interface with multiple cams (left) and livestream screen (right). Swipe to switch cams. Livestream quality (L to R): Fluent (~540p), Balanced (720p), Clear (1080p). A large two-way talk button lets you initiate a talk between your phone and the cam, and in the case of the Keen, you get a PTZ button with simple glide controls to pan and tilt the camera in all directions. A default preset would be welcome here, just so you can quickly go back to your main angle without having to exactly readjust it each time. The Keen and Argus have push to talk (left) and the Keen has a pan/tilt controller too (right). If an SD card is inserted, a Playback button will show up that switches to the recorded videos. 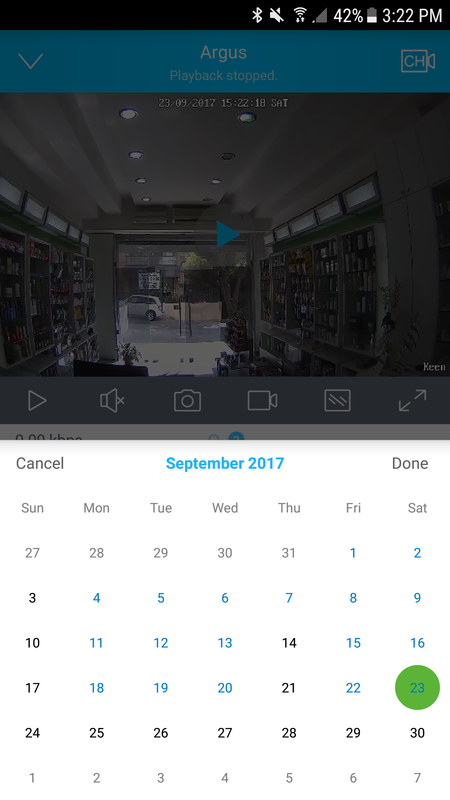 That's where you can pick any date to view the corresponding videos recorded. 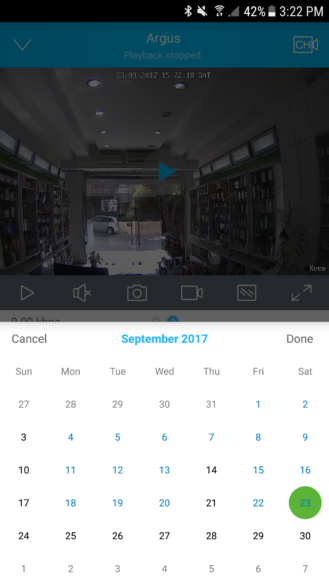 A playback button shows up if you have an SD card (left) and lets you pick the date (right). 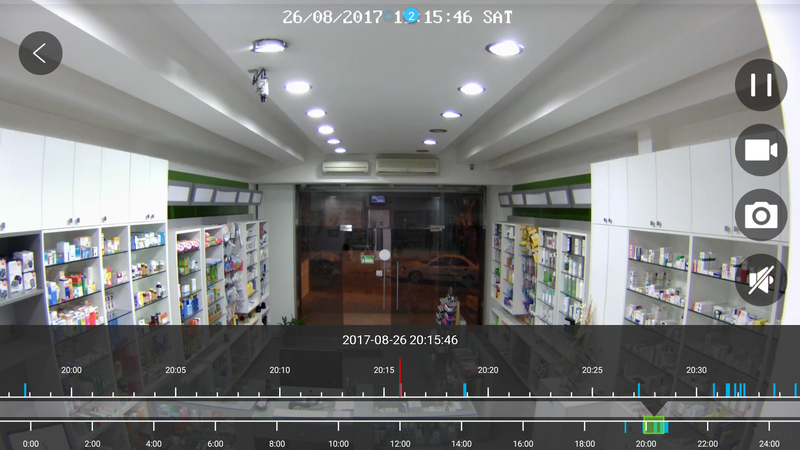 Reolink recently switched to a two-axe timeline with one large 24hr on the bottom and one zoomed in 20-min, which work well to let you quickly load different motion videos. And of course, any video can be downloaded from the cam's card on your phone. 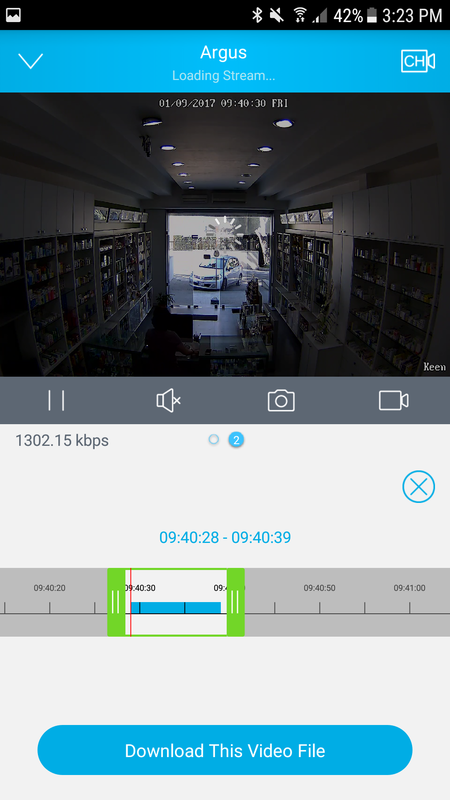 Two axe timeline for finding recorded videos (left) and download option (right). 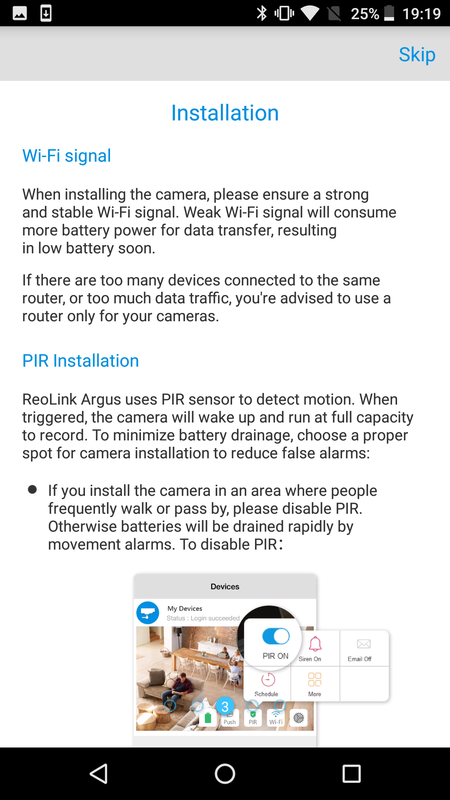 I found the Reolink Keen and Argus' strength was often in live streaming instead of monitoring with motion notifications and recorded videos. That stemmed from several factors, including the lack of smarts for motion detection (pets, cars, humans, wind, all are treated the same way), the absence of automatic home/away and arm/disarm modes that forced me to set hard schedules, the lack of frame exclusions and specific frame area detection, the Keen's pan/tilt that's only useful when viewing live, and the rather short battery life that made me more conservative with how I set up sensitivity and push alerts. 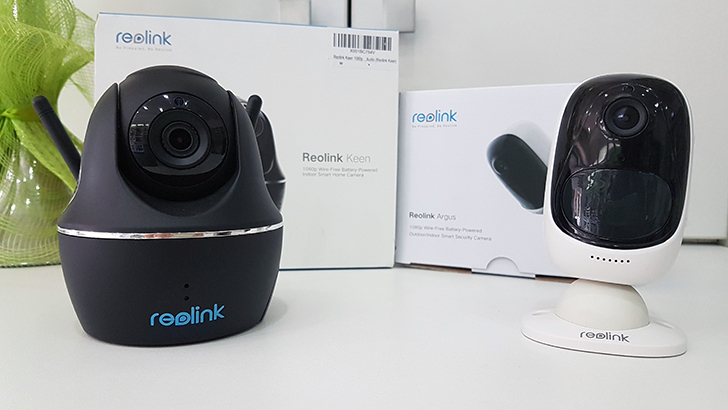 If you want a camera that will be more often than not used for live streaming instead of motion recording, then these two do a good job. 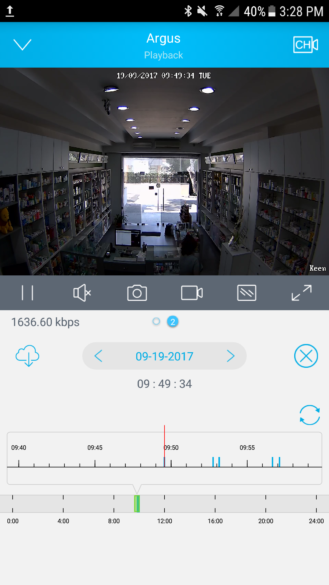 That's not to say that motion detection and videos are bad, they're just not as good as what you would get with other brands that offer longer battery life/more power options, algorithms for better smarts all around, and cloud storage that makes sure you can view those videos even if a thief walks out with your cam. 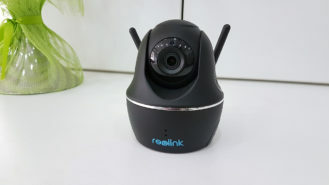 I could see something like Reolink being useful if you care about your privacy and don't want any cloud or account ties, or if you want to monitor motion in your baby's room while you're in another room, or in situations where you are adding a cheap connected cam to an already existing and robust monitoring system. The latter is my case in my pharmacy: I have a pre-installed system that's not internet-connected and the Reolink provides a very easy way (no re-wiring, no new equipment) to view things when I'm away if I get an alarm notification. This push notification means motion was detected. The Keen is obviously better suited for indoor use, and the separate PIR provides some unexpected versatility. You could point it in the same direction, but there are other ways. 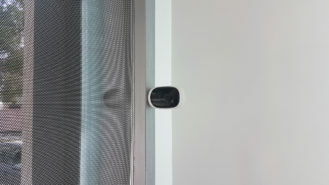 For example, you can have the camera point at a glass door/window, but place the PIR sideways at a different angle pointing just inside, that way it won't be triggered by things moving outside but the cam will record a good angle if intruders break in. As a downside, due to the two-hardware component, moving it and the PIR around isn't easy if you want to monitor a new room temporarily, so the Keen should be mostly considered as a stationary installment. 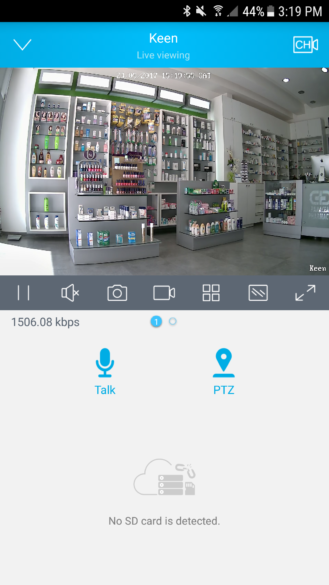 Livestream interface in landscape on Keen with overlaid PTZ controller. The Argus on the other hand is much more portable. Thanks to its magnetic base, you can peel it off the indoor mount and move it to another room easily, then either put it on a flat surface or attach it to something metallic. 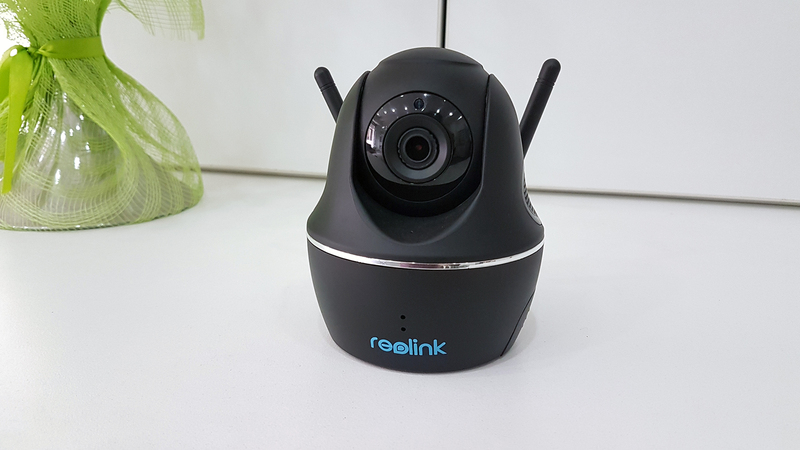 That portability can come in handy for temporarily monitoring other rooms (baby, elderly, sick people, or a room where someone you don't trust is working). Obviously the PIR is built-in so you lose the versatility of being able to change its angle versus the cam, and there's no pan/tilt so you'll have to do with remotely viewing only one angle. 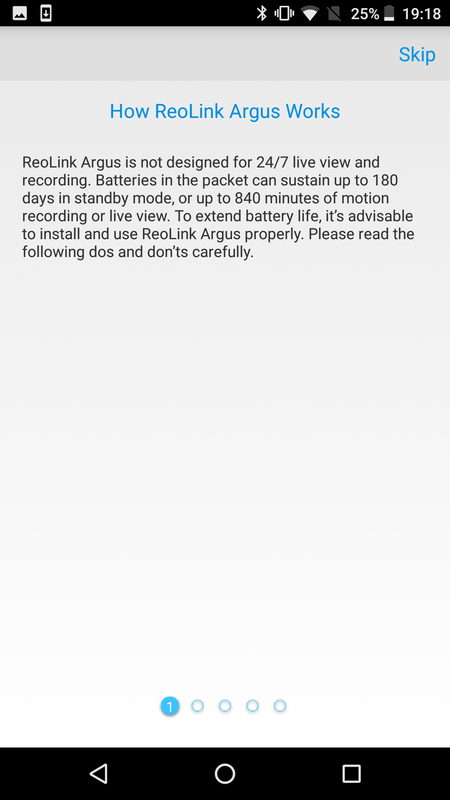 And although the Argus is weatherproof and can be placed outdoor, I'd refrain from pointing it at a busy street where it could be triggered so often that the battery goes dry in a few weeks. Thankfully, with my setup using the Argus mounted on the bottom of the TV, it can see the door and the street but the action is far enough that the motion sensor doesn't get triggered each time a car passes. Otherwise, I'd go crazy with all the notifications. Playback interface in landscape with the two-axe timeline. 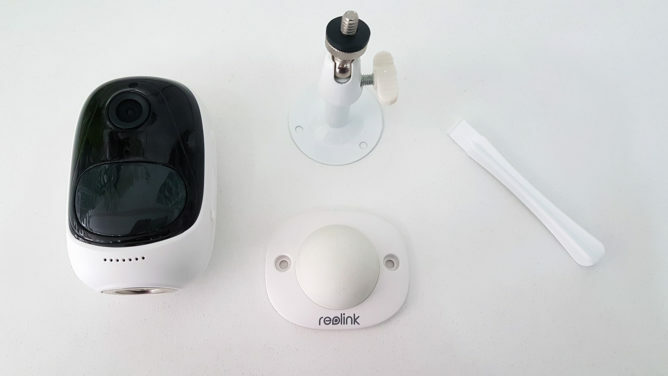 You can still use the Reolink Keen and Argus as you would a Nest, Arlo, Logi Circle, or Canary, but you need to keep in mind with that there's no tamper-proofing and no backup storage. If someone unscrews the cam and takes it with them, it won't be connected and the MicroSD will be gone. You can't view who took it or in which circumstances. 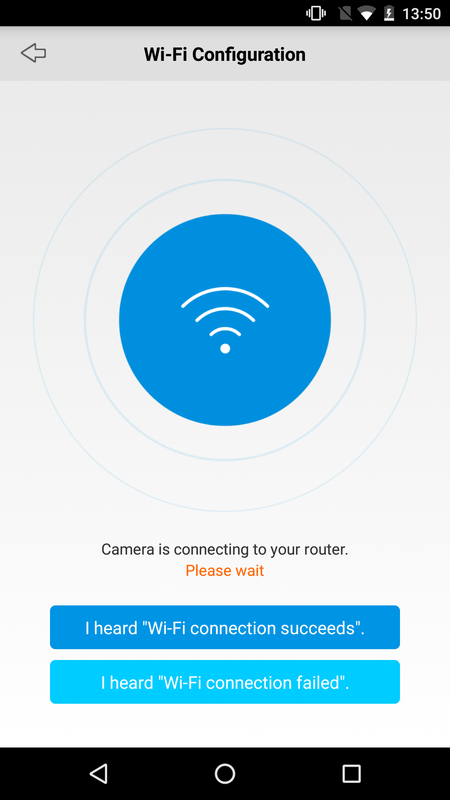 And if the camera loses its WiFi connectivity, like during a power outage, none of your videos are accessible. Those are really huge downsides for a monitoring system you might solely rely on. It took me a long time to process this review for one reason: I hated Reolink's app. 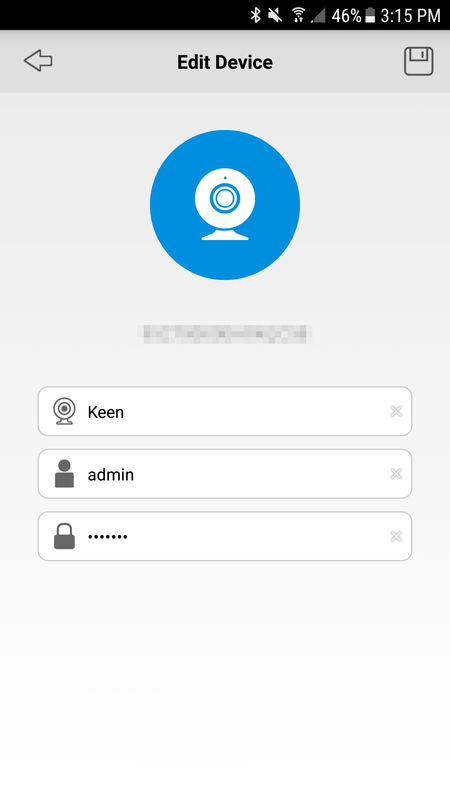 For several weeks after setting up the Keen and then Argus, I couldn't bring myself to open the app without immediately closing it a few seconds later. It's gotten so more approachable now with the recent updates — or maybe I'm more immune to it? — and after discovering how everything works and navigating its maze of settings, I feel more comfortable with it. I'm still sad that there's no ONVIF support like Amcrest offers, because it would make these two Reolink cams much easier to recommend. As it stands, you'll have to live with this app. If that's a deal-breaker then there's no point in anything I say after this. But if you're OK with the app, then you'll have to ask yourself several questions: do you want cloud or local storage? Do you want a smart system that figures everything for you but that charges a lot for a monthly subscription, or a rudimentary motion detection system that works well and doesn't cost a penny beyond the basic price of the cam? Are the batteries easy and cheap in your country, or are they impossible to find? Are you ready to live with the long list of "No..." I mentioned in the Not So Good table? Once you answer these, you'll better know where you stand on the Reolink. As for me, I started out confused and hating these two cams. It took a while for me to come around, but now I see their appeal for the DIY enthusiasts who just want a regular monitoring camera that happens to have WiFi for remote viewing. They might not be as fancy as all these other smart cams we keep seeing, but at least they cost about a hundred bucks total without additional fees and all it comes to is this: for the price, you can't argue with the value. 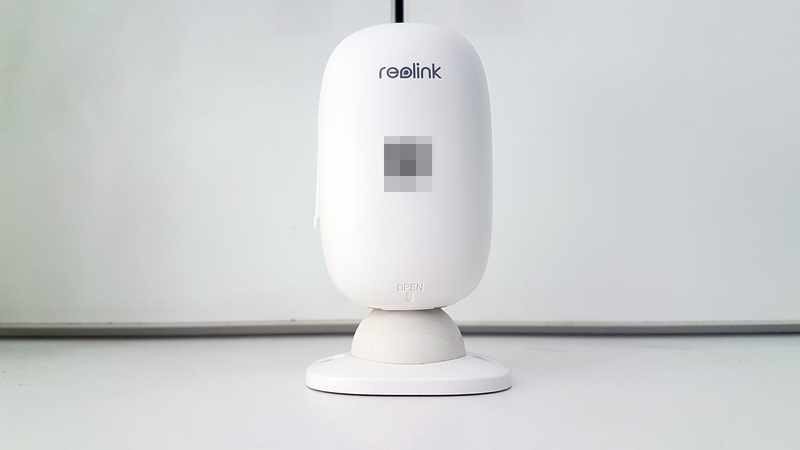 Developer: Reolink Digital Technology Co., Ltd.